make the most out of this summer! Spend this summer learning and laughing at Cheery Kids! Your student will not only receive expert instruction in math and language, but they will also be active participants in exciting science projects, hilarious public speaking games, and eat their way around the world! Let this summer be the summer where your student can not only make new friends, but awesome new memories too! Your student will spend a few hours every morning learning and reviewing new and old concepts to prepare them for the upcoming school year. Our summer enrichment classes, like our afterschool program, maintain an 8-to-1 student-teacher ratio, ensuring your student gets the attention and care they need. Our summer enrichment classes promote a more independent approach to learning: short lessons at the start of class followed by self-study. Your student will still have the opportunity to work closely alongside our expert staff, so no questions go unanswered! 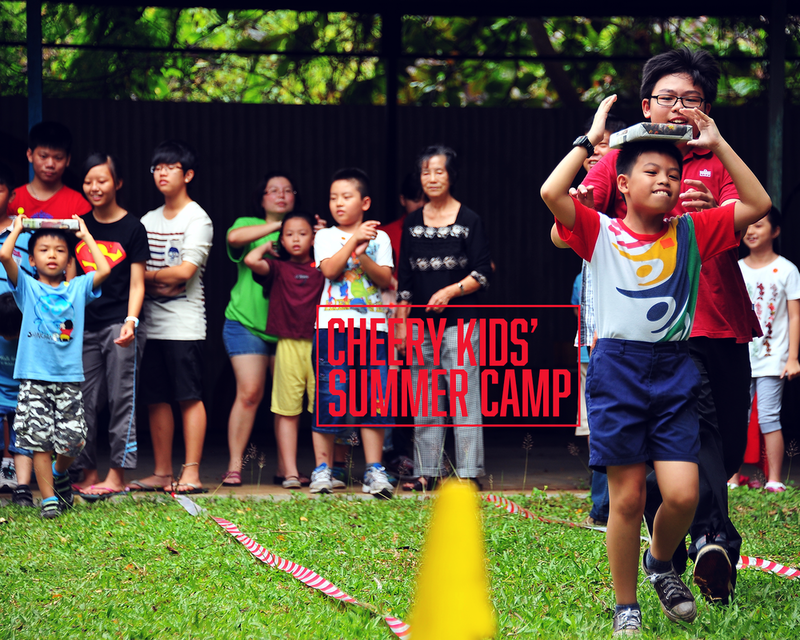 All summer long, our camp hosts a variety of fun workshops that boost learning and encourage laughter. Instead of having students listen to a lecture and do worksheets, we give your student the chance to learn by experiencing! Your student will launch rockets, solve a crime scene, build an ecosystem, design bridges, and more when they are enrolled in our summer camp! Using real-world situations and problems, your student will not only learn about the sciences, but also test their ideas and inventions against these real-world issues! Learn about history, folklore, and tradition with fun and tasty lessons! Your student will learn some culinary basics, improve their understanding of nutrition, and build healthy habits while experiencing amazing cuisines from around the world! Help your student build confidence with our public speaking workshops. Knowing that most children (and even some adults) dislike public speaking, we run our program a little differently. We use a variety of performance games (e.g. charades, taboo, etc.) to help students learn and practice presentation skills—without ever making our students feel anxious! With our arts class, your student will bring home unique pieces of work that will make for great, around-the-house decorations! Instead of limiting art to paint and canvas, our class gets a little bit messy (ok—we confess, it gets very messy), but your student will love the process of creating almost as much as they’ll love sharing the details of what they have created with you! Every week ends with a day of fun and laughter as your student catch up with old and new friends alike! Your student will participate in thrilling games of laser tag, compete with their classmates in carnival-favorites, and more!